Royal Electric Vail - Royal Electric, LLC. With over 20 years in the construction industry and almost 10 years as an electrician, Royal Electric, LLC. is committed to providing exceptional service at a competitive price. Our clients’ needs are a top priority and we will work to deliver exceptional lighting services and solve your most difficult electrical problems. Owner, August Gosnell is a master electrician, licensed electrical contractor, and experienced signman. He has been a local in the Vail Valley and Eagle County for almost 10 years. Electrical Services Offered in the Vail Valley & Eagle County! "I was so happy to find Royal Electric. They were professional and helpful. My electrical project was completed quickly and the quality of work was excellent! 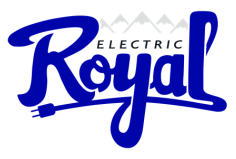 I will definitely be using Royal Electric in the future and would highly recommend them to my friends and family!"